The Catcher in the Rye was published by Little, Brown in 1951 to great fanfare. Its author, J. D. Salinger, and his protagonist, Holden Caulfield, became overnight cult figures. Apparently, this was a mixed blessing for Salinger. At the time, I was happily engrossed by The Bobbsey Twins and missed the hoopla. Years later, when Catcher landed on my high school recommended “reading list, ” I frankly was still too young and ill-equipped to appreciate it. 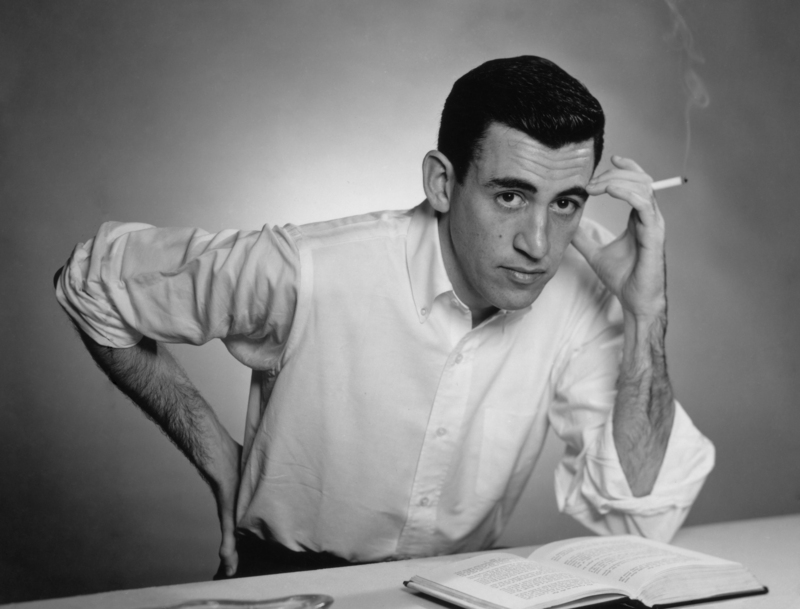 J. D. Salinger circa 1952. The limelight never became him. Photo courtesy Antony DiGesu. However, as the years passed, I became fascinated by the myths surrounding Salinger and his reclusive eccentricities–all conjecture. Whether The Catcher in the Rye was the seminal text of your youth or not, I encourage you to tune in PBS tonight (Tuesday, January 21, 9:00 p.m. E.T. check local listings) as American Masters launches its 28th season with the director’s cut of Salinger, a riveting documentary profile of enigmatic author J. D. Salinger (1919-2010). Despite its headline-grabbing international festival premiere and limited theatrical release last year, the film’s exclusive domestic TV rights were secured by American Masters from the get-go and include 15-minutes of additional footage. This “director’s cut,” is the end-product of an exhaustive 10-year exploration of Salinger’s life and work by producer/director Shane Salerno, who also co-authored the film’s companion book published by Simon & Schuster. Like the minions who have tried and failed to personally connect or, if former colleagues or lovers, reconnect with Salinger, Salerno had his work cut out for him. The filmmaker faced almost insurmountable obstacles to get his subject’s story on film. A screenwriter with action adventure screenplays to his credit, Salerno most recently co-wrote and executive produced Oliver Stone’s Savages. Interestingly, I found that my visceral reaction to Salinger, a documentary with seamless reenactments, called to mind my initial response to Oliver Stone’s dramatic film, JFK. Both films make the most of grand cinematic flourishes (stirring music, editing, cinematography and a pastiche of fascinating characters) to bring closure to mysteries that may never be solved. In Salinger, the filmmaker does a good job of turning fiction into fact, as far as it goes, by drawing out a large number of former friends, neighbors, colleagues, lovers and famous fans whose reminiscences are sewn into the fabric of a brilliantly edited and well-orchestrated (music by Lorne Balfe) portrait. Cinematographer and co-producer Buddy Squires is a longtime Ken Burns collaborator, and his influence shows here, especially in the extensive use of World War II photos and footage, much of it horrific, that provide extraordinary insight into Salinger’s psyche, work and guarded lifelong friendships with his Army buddies. 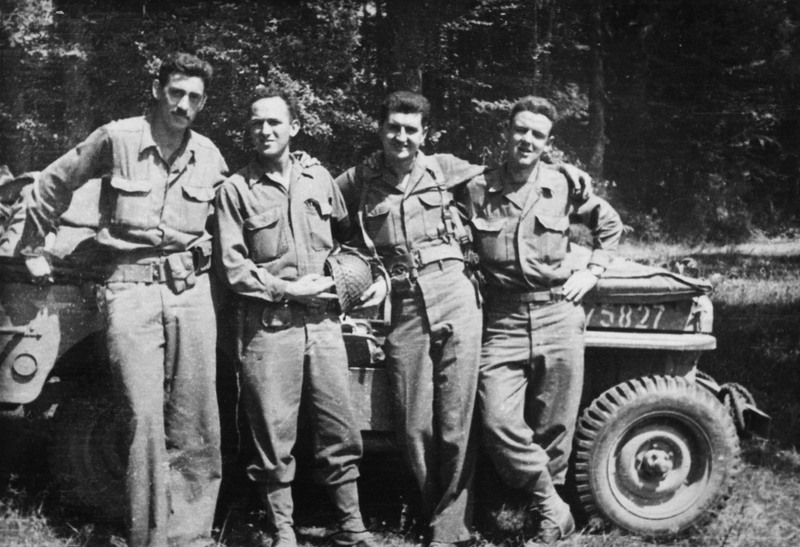 “The Four Musketeers.” J. D. Salinger (left) and his WWII buddies. Photo courtesy Denise Fitzgerald. As a young man, despite his comfortable Park Avenue upbringing, a blossoming love affair with Eugene O’Neill’s 18-year-old daughter, Oona, and his obsession to publish in The New Yorker, Salinger enlisted in the Army. His lengthy tour took him to the beaches of Normandy, the forest of Hurtgen, the desolation of Dachau and a nervous breakdown. His postwar service included ferreting out and interrogating Nazis. It was the worst of times, made worse by Oona’s sudden marriage during his tour to 53-year-old Charlie Chaplin. At the end of the war, Salinger also ended up in a short-lived, misguided marriage to a young Nazi sympathizer whom he brought to the States. It’s clear that his war experiences colored his work (he wrote Catcher throughout his tour) and that his heartbreak over losing Oona during this time probably drove his lifelong attraction to teenagers who shared an obvious resemblance to Oona. 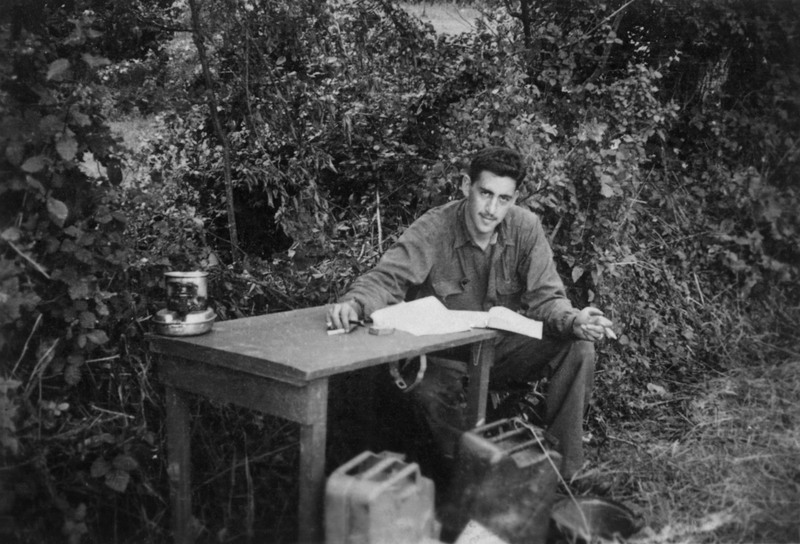 The only known photo of Salinger at work during WWII on THE CATCHER IN THE RYE. Photo courtesy Denise Fitzgerald. Two of these women speak candidly in the film: Jean Miller, whom Salinger met and befriended when she was just 14, and notorious Joyce Maynard, whose provocative cover story in The New York Times magazine as a precocious teenager drew him to her. While Miller carefully and with no animosity tells her story, Maynard recalls her love affair with Salinger, warts and all, and attempts to explain her reason for leaving him, auctioning his letters and writing about him. His subsequent denunciation of her was scathing. Salinger lived his life on his own terms, in a secluded home in Cornish, N.H. If you edited his text or filmed it, if you took his photo or wrote about him, you were toast. While the filmmaker has managed with jaw-dropping flourish to draw attention to a list of previously unpublished works that Salinger had apparently consented be published over a period of several years beginning in 2015, time will tell if this is accurate and if this work enhances his genius or diminishes it. Director Salerno does not necessarily paint a pretty picture of this man, but the film does give us much more to work with if we are to understand the roots of Salinger’s brilliant but small body of work, his seclusion and obsessions. It’s certainly a shock to be reminded that among the quirky fans obsessed with Catcher in the Rye, three were deeply disturbed gunmen, one of whom killed John Lennon and another who almost killed President Reagan. But we’ll probably never know if J. D. Salinger gave this more than a passing thought. This entry was posted in Books, Film, TV and tagged American Masters, Authors, Buddy Squires, J.D. Salinger, Joyce Maynard, Oliver Stone, Publishing, Salinger, Shane Salerno, Stephen Segaller, Susan Lacy, The Catcher in the Rye, The New Yorker. Bookmark the permalink.